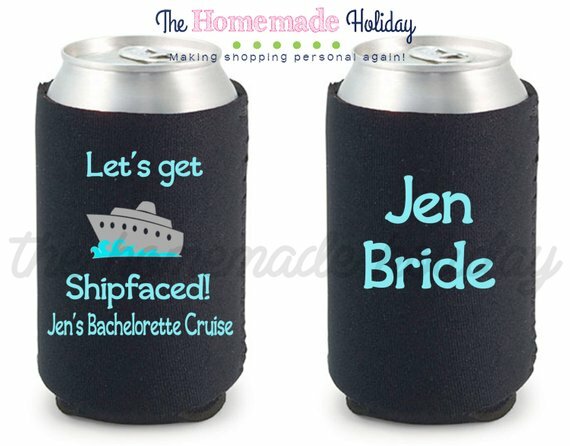 Considering a cruise-theme for your bachelorette party? 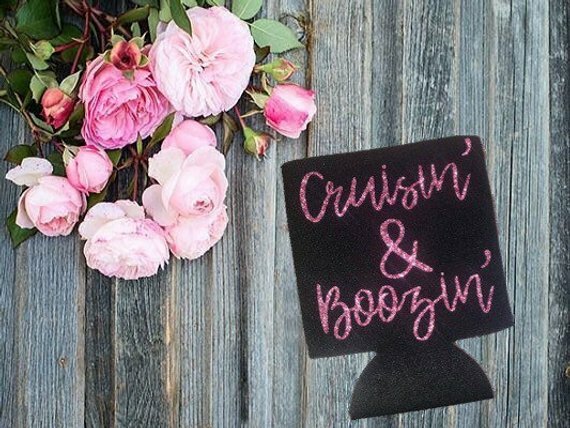 Whether you plan to hop-on-board an actual cruise or simply incorporate the cruise theme into your party, cruising is definitely one of the hottest themes in bachelorette parties. Why do we love the cruise idea? Well, dollar-for-dollar cruises are one of the best travel options available, especially if you are lucky enough to live within driving distance of one of the country’s busy ports. They offer you an opportunity to visit exotic locals, plenty of on-board entertainment options, dining to please everyone, and even packages where you can turn your regular cruise into a one-price booze cruise. Stuck stateside, but love the cruise theme? 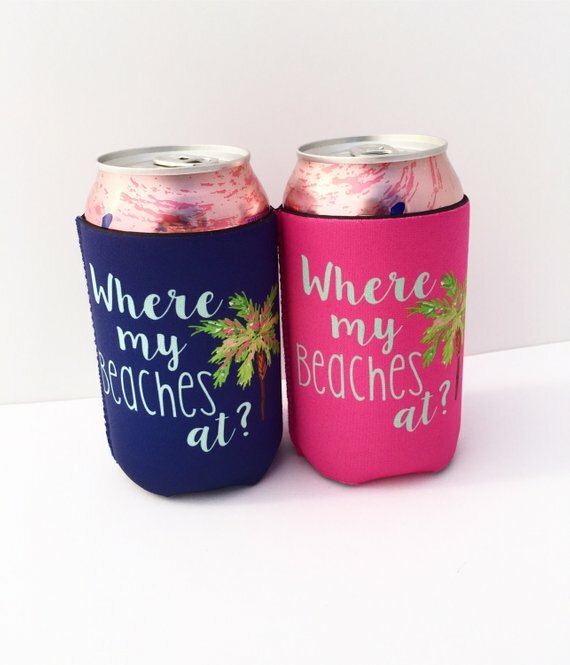 We think it is a great way to incorporate some flavor and flair into a bachelorette party, and that is a great choice for the bachelorette who may be cruising for her honeymoon! 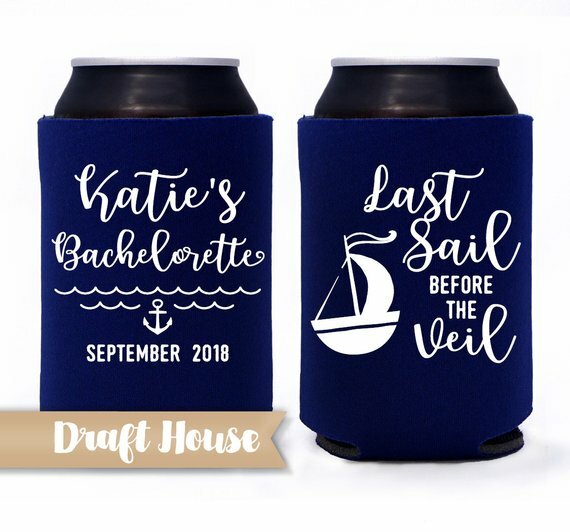 Deciding whether or not to take an actual cruise for your cruise-themed bachelorette party is question that we really think comes down to time and money. If your budgets allow and the guests can spare a few days, then we absolutely, 100% think you should take a cruise. However, we are also realistic. Even though cruises are super-affordable, we understand that not everyone has several hundred dollars to spare for a bachelorette party. If that applies to you, you should not feel guilty. 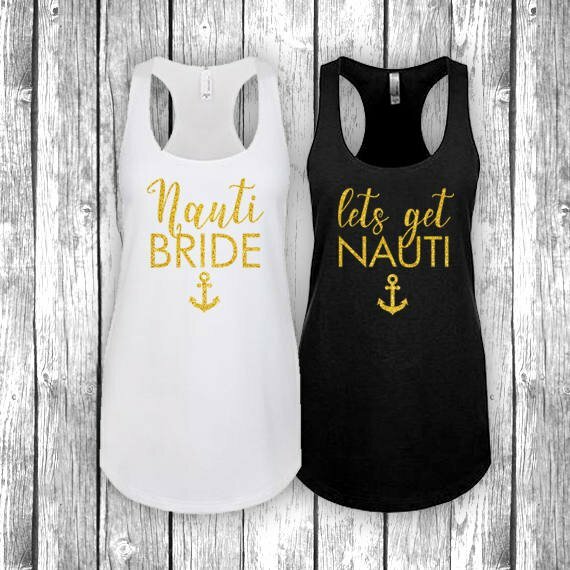 You can throw a cute cruise-themed bachelorette party instead! If you love the cruise theme, but time or budget constraints make it a no-go at this time, you can still incorporate the cruise theme. Think nautical. Maybe you cannot afford a cruise, but live near a body of water where you can rent a party boat for the evening. Boat charters can be surprisingly affordable, and, if you have a skipper in your midst, you can even rent a comfortable boat like a pontoon for several hours of sailing fun. Cruises are known for three things: tons of delicious foods, free-flowing drinks, and wacky cruise entertainment. You can easily incorporate all three of these things into your cruise themed party. Set up your food buffet style and include a wide range of cruise fan favorites. For example, Carnival Cruise lines is known for their chocolate melting cakes; while you may not be able to completely capture their flavor, you can achieve the same effect by serving these chocolate soufflés. Drinks are another thing that can evoke the cruise ship atmosphere. Most of the popular cruise destinations go somewhere tropical, so think pitchers of frozen drinks. 1. Affordability. Cruises are probably the least-expensive way to travel in style. How inexpensive? 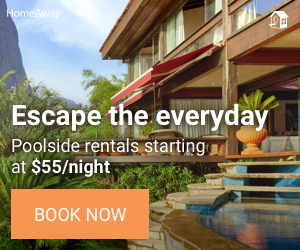 Well, right now Carnival Cruises is offering short cruises from $59/a day/ per person. While not every departure port or every cruise line will have cruises at such a low price point, you will be surprised how affordable short cruises are on almost every cruise line. 2. Cost Control. One of the best things about cruising is that people can really control the costs. Have a ton of money to spend? Then you can pay for expensive excursions, spa days, and exclusive restaurants while cruising? 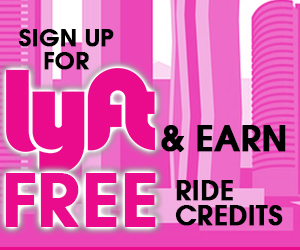 If you do not have tons of extra cash, skip the excursions and simply head out to explore from the port! In addition, cruises are a pay-before-you-go option which makes them great for financial planning and can ease some of the hiccups that come up on other vacations, where one person may find herself footing far more than her share of the bill! 3. Entertainment included. Yes, you can be as extra as you want. Go ahead and decorate that door, plan a bachelorette cruise scavenger hunt, or book a lounge for a private party. 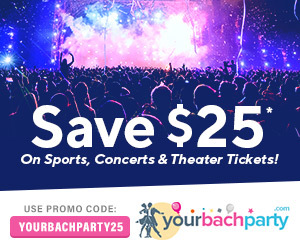 Or, you can skip all of that and still have a great time. Cruises literally offer entertainment options all day and almost all night. So, you can plan ahead or just go with the flow; either way, you will have a great time! 4. Guaranteed Girl Time. Our favorite part about cruising? Getting away from it all. Sure, there is Wi-Fi on the boat, and you could get an international calling plan to stay connected. However, this 24/7 connectivity can get a little stressful. Instead, we suggest you take advantage of one of the hidden benefits of cruising- being unavailable to the outside world. 5. Themed cruises. While a cruise is always a good time, you know what makes it even better? A themed cruise with tons of your fellow fans. So, if you and your girlfriends have a “thing” that brings you all together, check and see if they have a cruise with that theme. One thing to keep in mind is that the all-inclusive price for cruises generally does not include food. Some beverages are included, but usually that does not mean sodas and it almost never means alcohol. However, you can upgrade your cruise by purchasing “all included” booze in your cruise. Carnival’s Cheers program lets you add bottomless alcoholic drinks for $52/day. Norwegian Cruise Line’s Unlimited Open Bar Program is normally $89/day, but is often a bonus you can add for free to your cruise. Royal Caribbean’s program is comparably priced, but varies on location and duration of the cruise. Why are these programs great deals? Well, especially for fun days at sea, it would be very easy to go over the all-included price just by having drinks with meals, a couple of drinks by the pool, and a nightcap or two. Even if you are not a big drinker, you will probably get your money’s worth, and you will not have to worry about any surprises, if you purchase the package ahead of time. 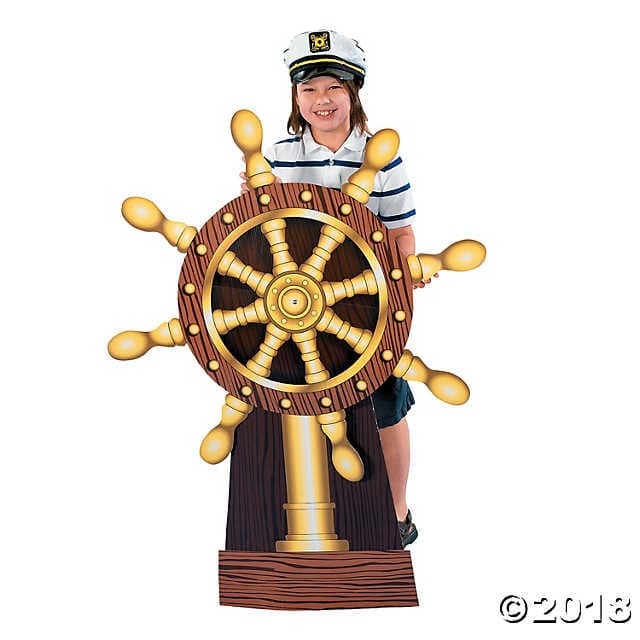 Whether you are heading out for an actual cruise of just having a cruise-themed party, of course you want to look adorable. We suggest incorporating a nautical theme for at least part of the party. Of course, a cruise theme lends itself to all kinds of great goodies, so grab yourself some swag before you go. Family Cruising for a Bachelorette? Hey, we live in a modern world. There are a bunch of bachelorettes about to walk down the aisle for the first time, but who already have families. Other bachelorettes may be taking a second chance on love or hoping the third time is the charm. Whatever the circumstances, some brides are looking to incorporate their families into the bachelorette party experience. We love cruises for this! Whatever cruise line you pick, check out their kids’ clubs and babysitting activities. You and your girlfriends may be able to get in plenty of family time, and still tear up the clubs at night! One of the questions we get a lot is whether you can find cruises with bachelorette-themed entertainment like exotic dancers. We have not yet encountered a cruise line that has an in-house exotic dancer service or a male review on board, at least not regularly. So, if you want your bachelorette party to include some beefcake, we suggest picking a departure point that has a male review or hiring a private dancer the night before departure, instead of trying to plan one for the cruise. Of course, if you have the pockets for it, a private dancer service may be able to supply a dancer for your trip, but travel costs will be your responsibility. What to Do on the Cruise? The reason that cruising is so popular is because cruising offers a wide variety of activities to suit different people. This means that you can have a group with diverse interests and still have a great time on the cruise. In fact, especially for larger groups, we suggest setting a very fluid itinerary that lets guests explore and enjoy their own thing, while coming together at set times. Some people are going to want to hang out poolside all the time, while others are going to want to hit the casinos or check out the other cruise activities. Nighttime is a great time for your group to come together. Most cruise ships offer a variety of bars, lounges, and entertainment venues for your group. It really depends on what your version of exciting nightlife is. Before you book your cruise, check out what the ship has to offer. Not only do different cruise lines offer a different nighttime vibe, but so do the individual ships on each cruise line. Carnival may be known as the party cruise line because of its affordability and short-cruise durations from many departure points, but Royal Caribbean has done a great job in creating a South Beach club vibe in its Club 20 locations, and Norwegian Cruise Line’s Bliss Lounges have a definite Vegas feel. Given the wide variety of destinations and departure points, you can find great cruises year round. That said, prices really vary over the course of the year. 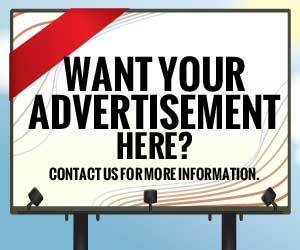 Head out during the summer, spring break, Thanksgiving, or Christmas holidays and you will be paying premium prices. Choose late spring or early fall for your departure and you may pay a fraction of those prices for the same vacation. Another bonus? Travel during non-peak times and you are likely to have fewer children on your cruise, and you may also find better bargains in your destination ports! While we love cruising, there is a big difference between cruising prepared and not being prepared. While you can find a lot of the stuff you might forget at the cruise ship’s gift shop or at your destination ports, you will pay a lot of money for them. Plus, it can sometimes be difficult to find basic things. We suggest that at least one person bring a first-aid and other emergency kit with them on board. In it, include motion sickness medication, allergy medicine, headache medicine, stuff to treat upset stomachs, earplugs in case you have noisy neighbors, tampons and pads, condoms, Band-Aids, antibiotic ointment, plenty of sunscreen, and aloe vera in case someone gets sunburned. As you can probably tell, we are big fans of cruising. 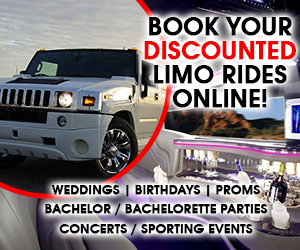 We love for all types of travel, but especially for destination bachelorette parties. If there is a cheaper way to get together with your besties and travel to exotic locations, we have not found it. Plus, we love that cruises offer a wide variety of entertainment options, taking some of the pressure off of the maid-of-honor to have to plan activities for every minute and for a wide variety of tastes. Finally made your decision? Read more about planning the perfect bachelorette party cruise.